Things to know for your new driveway! There are several things you need to know about your new driveway. It takes a year for your driveway to fully cure. Until then your driveway is still “soft” meaning it is possible to scuff it or put dents in it. 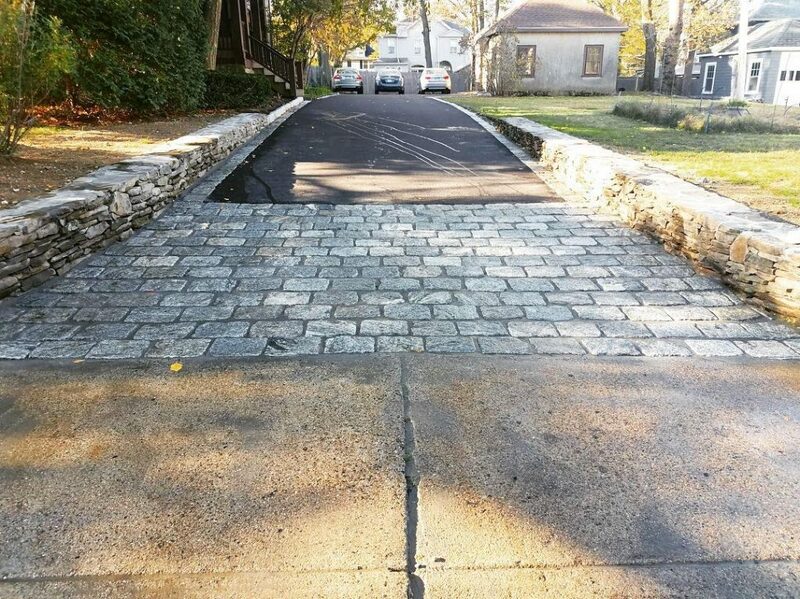 To prevent this it is important to avoid driving or parking on your driveway for 5-7 days after it has been paved. This allows your driveway time to cool down and harden. After the first 5-7 days make sure not to turn your wheels on the driveway while stationary. This can scuff your brand new driveway and leave tire marks. Turning your wheeling while stationary on the pavement is similar to rubbing your shoes into dirt, it’ll move the material and make a mark. Make sure your car is in motion while you are turning your wheels. This will help avoid unsightly tire marks. For the first year heavy objects and machines can dent your driveway. We suggest you avoid placing dumpsters, storage units, or driving heavy machinery such as forklifts, bobcats, and etc.. on your driveway. The weight of these machines and objects is often concentrated on small points. Dumpsters have four small wheels holding all the weight of the dumpster and its contents. All of that weight pushing down on small points will easily dent your driveway. On extra hot days the heat will reheat the asphalt cement in the pavement making it easy to reshape or mark the pavement. Watering your driveway can help prevent that. The water will absorb a lot of the heat from the driveway allowing it to keep cool and hard. Bicycles and motorcycles can dent your driveway as they put a lot of pressure/weight on small points. Narrow tires do not spread the weight making it easy to dent/mark the pavement within the first year or on very hot days. Make sure to walk your bike on the driveway and to avoid placing the kickstand on the driveway. If placing the kickstand on the driveway make sure to put a wood board under the kickstand. This will dissipate the weight. This entry was posted in Asphalt and tagged Asphalt, Driveway.